The theme of this conference is “Nuclear Medicine: Quantifying function- Unquantifiable gains” and is expected to attract around 250 participants. 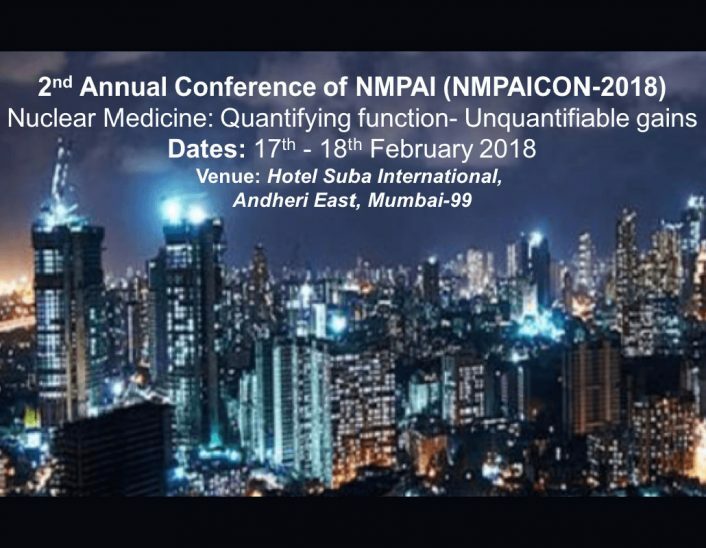 The conference will bring scientists together to share new ideas in research and recent advances in the diagnostic and therapeutic nuclear medicine. The two days of the conference will cover sessions on image reconstruction and segmentation, instrumentation and quality control, radiochemistry, radionuclide therapy, molecular imaging, radionuclide therapy, radiation protection and safety. This conference will serve as a platform for the trade delegates to showcase their new products and ideas and form new collaborations!